degrees are vastly different, but we risk missing out on some genuinely joyful moments if we say “Eh, it’s only a high school diploma,” or “Well, it’s only an associate’s degree.” Hard work goes into every level of educational attainment. It doesn’t matter if you’re one of the nearly 9 in 10 Americans with a high school diploma or one of the 12 percent with an advanced degree. Here are 3 clever ways to commemorate graduation. A backyard party is obviously going to be easier if you’re graduating in spring or summer, but if you’re graduating in December, just convert the backyard party into a house party. You can still do most of the same things regardless of the weather. Grill burgers on the grill, but only do this if you can be outside. Trying to move the grill into the garage so you can grill indoors when it’s cold is a surefire way to get carbon monoxide poisoning. Once you’ve planned out the food, you’ll need to think about the dress code. It should be formal enough to allow the guest of honor to go shopping for new graduation dresses or suits, but it shouldn’t be so formal that it feels like a church wedding. Dresses with one shoulder or an open back are ideal for outdoor events at the beginning of summer. What about gifts? That’s up to you, but remember that the graduate will need to write thank-you cards for every present they get. If they don’t have enough time or energy to do that, it’s understandable, but in that case, you should make it clear to guests that the only thing they need to bring is themselves and maybe a side dish. 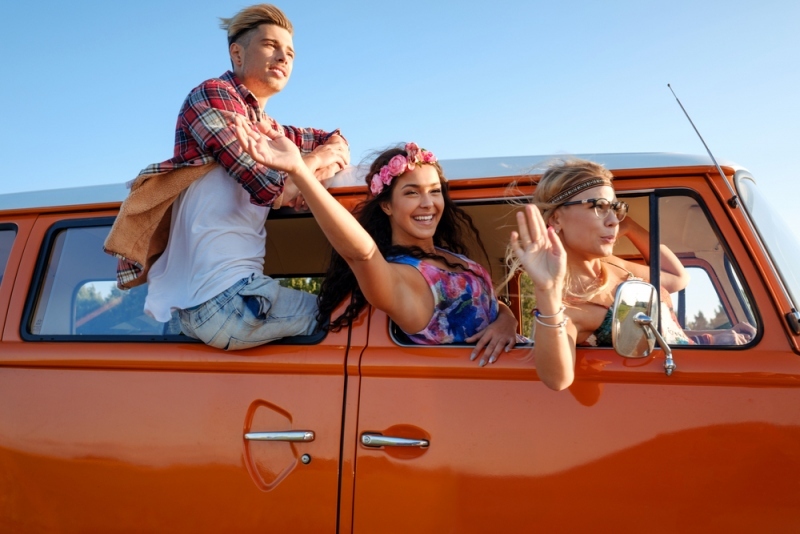 A road trip can be a way to send your graduate to the next phase of their life, if, for instance, they’re moving off to college, or moving from their college town to the city where they got their first adult job. It can also be purely fun. If you’ve always wanted to visit the Pacific Northwest, then why not do it right after graduation? If you wait too long, other obligations will kick in, and as the cliché goes, there’s no time like the present. It’s your road trip, so you can plan it carefully or make every single day a surprise. The latter gives you more flexibility. You can stick to the big cities like Seattle and Portland, or you can go off the beaten path and look up things to do in North Bend, OR. Look at the calendar and figure out how much time you can reasonably spend on the road. If you have a whole week to spare, you can even take a trip across the whole country. This is admittedly the least thrilling option, but if parties and road trips aren’t your thing, why not use that money to open up a new savings account instead? Yes, it’s true that more education generally leads to a higher salary, but there are no guarantees in life. Even a PhD won’t guarantee a good-paying job with benefits. The older you are, the more you’re expected to have in savings. Let’s say you’re 30 years old with an annual salary of $35,000. Experts say that means you should also have $35,000 saved up by then. That may feel impossible in some cases, but even if you can’t get there, saving up a little bit and adding to it gradually is a lot better than saving up nothing at all.